HeyPlantMan! 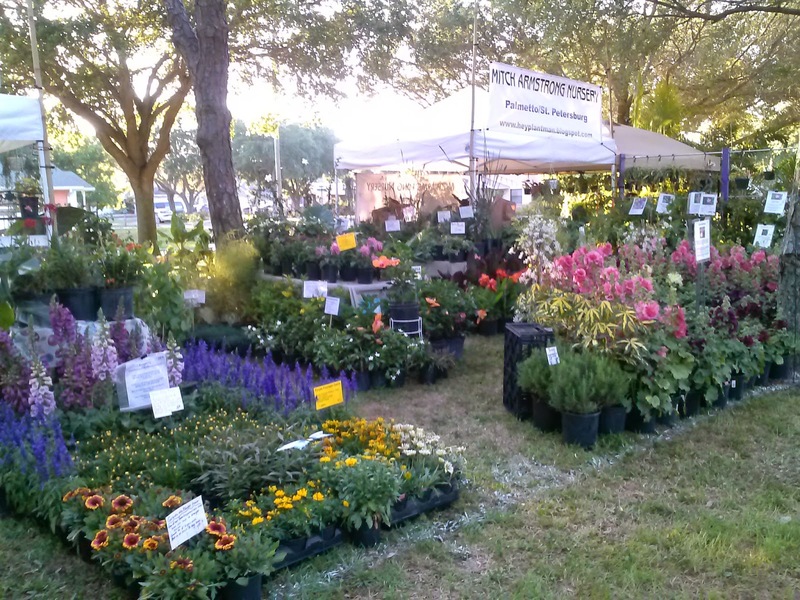 Exotic Tropical Plants from St. Pete FL: Green Thumb Festival Time this weekend ! Green Thumb Festival Time this weekend ! 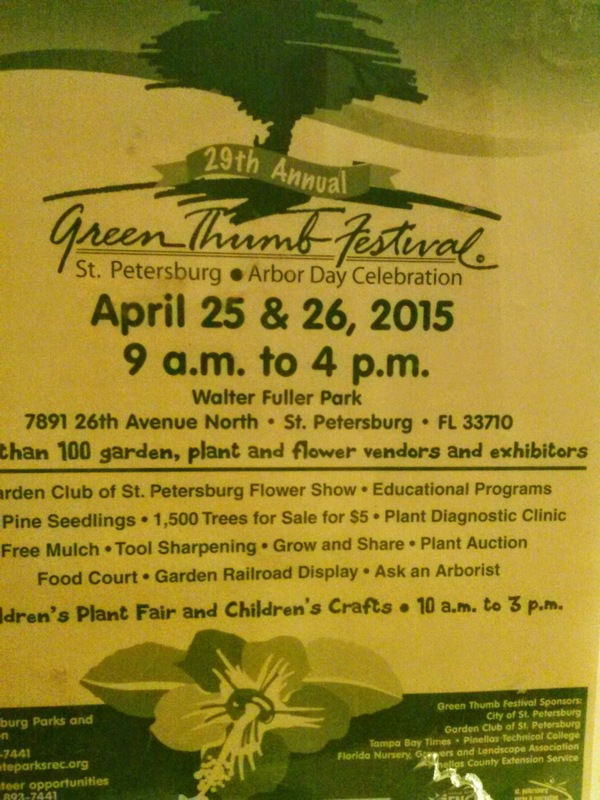 It's nearing the end of April, so that means it's time for the Annual Green Thumb Festival this weekend, here in St. Pete ! Located in beautiful Walter Fuller Park on the west side of town, this large festival, featuring over 100 vendors and lots of other great gardening informational booths, lots of kid friendly activities, food and fun fun fun. The festival is free admission, and there is a large parking area located in the north end of the park, along with street parking around the neighborhood, just be sure to pay attention to any signage about parking on side streets. Mitch Armstrong Nursery will be located in Booths 65-70, just down a bit on the right side as you enter the park from the north parking area. 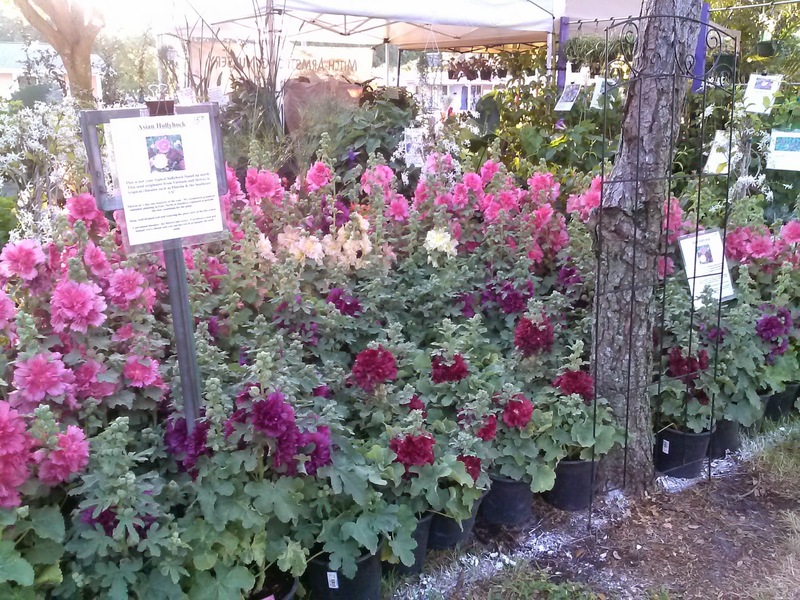 Look for our banners and our BIG display of Tropical Hollyhocks, that always highlight our spot ! Our advice for attending the event?? BRING A CART ! Or strong partner, kiddie strollers etc, anything that can hold your purchases as you walk around. There are not "Boy Scout" Troops around to help, but usually there is a lot of enterprising kids there with carts to help you and they are happy to assist and work for "tips". There are lots of restrooms, places to rest and hang out and a large food court located on the south end of the park. There is a Plant auction, and lots of City folks there with booths on info for great environmental gardening. This year, along with our Hollyhocks, we will be bringing a huge assortment of Rare and Unusual Exotic tropicals, Succulents, Tillandsias, Shade and House plants and of course, lots of Butterfly-friendly gardening plants! And, for the first time, we will have a special selections of plants for sale from Mitch's private collection ! Look for a special marked table within our Booth area for these prized plants. 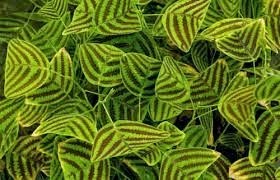 PLUS: Yes, it's finally time for Butterfly Wing plant, aka Christia obcordata ! Our small specimens are back from the dormancy of winter and available for purchase. Note, these are not available to ship, you must purchase them from us, in person, here in St. Pete ! As usual, we will have lots of staff on hand to assist you and we do provide a holding area for your purchases. Also, remember, we have the "square" credit card reader, and will take ALL credit cards ! We hope to see you at the festival, we highly recommend you come early to get the best selections.